Shaul Schwarz and Christina Clusiau never thought much about big game hunting. In fact, the two photojournalists-turned-filmmakers, who have been a couple for years, didn’t even know how each other felt about the controversial sport. Then almost four years ago, Schwarz was on his computer when he came across a “trophy shot” — a photo taken of a hunter next to the animal he or she has just killed. Schwarz shouted his displeasure, which fell on deaf ears as Clusiau didn’t see any problem with it. “I grew up in Israel where if you shot a deer you shot Bambi,” Schwarz said. 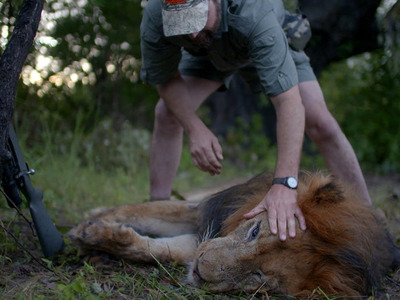 That led to the making of “Trophy” (opening in select theatres on Friday), the duo’s powerful documentary that delves into the world of safari hunting. On the surface, the movie looks to be an anti-big game hunting movie that sheds light on man’s atrocities toward animals. And with the main financing coming from Impact Partners — a company most recognised for backing the 2009 Oscar-winning movie, “The Cove,” which looks at the slaughter of dolphins in Taijii, Japan — that wouldn’t be a bad guess. But Schwarz and Clusiau go beyond the low-hanging viral sensations that diminish the sport, from Donald Trump’s sons taking trophy shots while on a hunting safari in Zimbabwe, to the death of Cecil the lion at the hands of a Minnesota dentist. Instead, they explore a complex issue in which big game hunting has fuelled not just breeding of endangered species but wildlife conservation as well. That was the biggest shock Schwarz and Clusiau got when attending Safari Club International’s annual Hunters’ Convention in Las Vegas in 2014. Essentially the Comic-Con of hunting, the three-day event offers everything from buying the latest high-tech hunting weapons, to getting a new fur coat, to spending thousands of dollars to make a reservation to hunt a buffalo or rhino on an African safari. “It angers you that there’s so much money, but then they started to throw this argument at us that money is what drives this, this is why there is wildlife conservation,” Schwarz said. The movie explores this tricky topic with lush visuals and moving interviews from those on the front lines of the issue, who are passionate about their stance. There’s Philip Glass, a Texas sheep breeder who is on a quest to hunt the “big five game” (African lion, elephant, cape buffalo, leopard, and rhino); John Hume, a South African who owns a rhino farm and cuts off their horns to protect them from poachers; Christo Gomes, a South African all-inclusive safari owner; and Chris Moore, a Zimbabwean anti-poacher. With a crew only made up of Schwarz and Clusiau, the two travelled with their subjects around Africa and other parts of the world. How to tell their stories evolved through time. At first, the two wanted to tell it as a verite with no narration or interviews. However, gradually they brought in interviews to better explain why people believe big game hunting is a positive for wildlife in Africa. “When we started working with Craig Packer, the ecologist, that helped us reinforce doing interviews because he’s the one that says how this model can bring a restored ecosystem,” Clusiau said. Including interviews also revealed a surprising emotional moment. 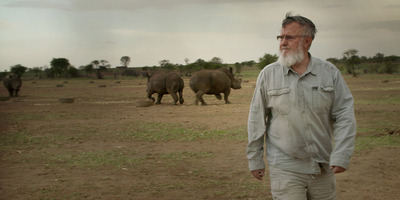 In one interview with Gomes, he breaks down and cries after asked if he has ever had an emotional connection to the animals he breeds that are eventually killed by hunters on his safari. Then there are the movie’s visuals, which aren’t just stunning but showcase the incredible access the filmmakers got. To pull that off was physically draining and at at times dangerous. The two often lugged around a drone for miles to film aerial shoots. It paid off after Glass killed an elephant. Before men from a local town picked it apart for meat to bring back to their village, Schwarz and Clusiau filmed an aerial shot via drone of the dead elephant. It’s one of the most memorable shots in the movie. But getting drone shots almost led to the filmmakers getting stranded in the bush. After filming shots with the drone one morning, they went back by boat to the camp where they were to meet their hunting party. But when they got to the site no one was there. “I think the guy misunderstood that we were coming back,” Clusiau said. 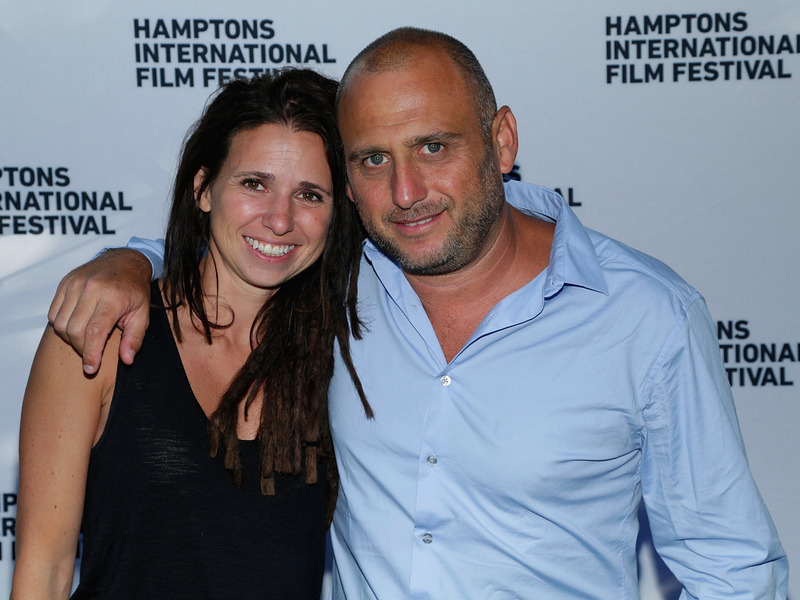 Lars Niki/Getty‘Trophy’ directors Christina Clusiau and Shaul Schwarz. Remembering being told that buffalo and crocodiles roam the river at this time of day, the filmmakers knew they couldn’t walk along the river to get back to the home base. They thought of taping a note to the drone and flying it back to the base to get help. But finally Schwarz got reception on his phone and after calling numerous numbers where no one picked up the phone, he emailed the general email box of one of the companies that assisted in connected them with the hunters. Four hours later, a boat came to pick them up. But their closest call wasn’t realised until six months after shooting was completed. Besides the incredible access, what makes “Trophy” so memorable is its ability to tell both sides of a complex issue. Schwarz and Clusiau are well aware the movie is a tough sell for people. But what they have realised is once they get people in the theatre, they will recognise the other side of the argument.